She Spent Years In Chains. Now Everyone's Helping Her Get Back Home. No one should have to live the way Japik has lived. After being taken from the depleted wild forests of Borneo, Japik was chained to a tree, where she spent the next two years. 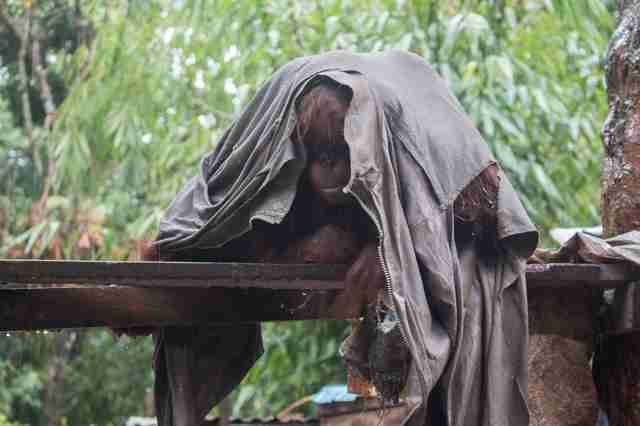 Finally, her owner realized that the orangutan deserved better and asked International Animal Rescue (IAR) for help. "Japik was placed beside a tree behind the house, without shelter or a roof to protect her from sun or rain," a member of the rescue team said in a statement. 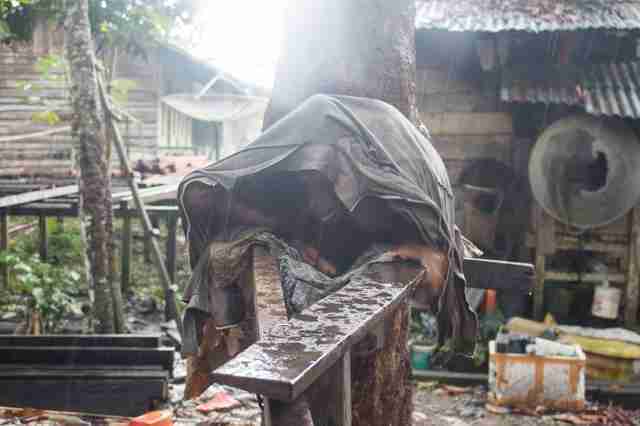 "When we arrived, it was raining heavily and she was trying to take cover under an old jacket. We could see that the jacket was soaked through and Japik was cold and shivering." Rescuers were amazed Japik was even still alive. They hurried to cut her free. "Let's hope this means she has a strong constitution and an equally strong will to survive," IAR wrote in a release. Luckily, it looks like Japik had that strong will to live after all. "Japik has recently undergone medical checkups to ensure she is recovering well after spending years in captivity," IAR wrote on Facebook on Tuesday. "We are pleased to say she is starting to show positive signs of recovery." Japik got her vision checked - her eyes were in good condition. The news comes as relief for her rescuers, who have dreams of reintroducing her to the wild. While Japik is still recovering from her ordeal in quarantine, her future looks brighter than it has in a long time.